McPeak's Assisted Living is celebrating National Assisted Living Week (NALW) and its 2017 theme of "Family is Forever." Inspired by a quote by Maya Angelou, this theme reflects the idea that "family isn't always blood" and serves to honor the deep connections between staff and residents of assisted living communities across the country. At McPeak's, these unique and special residents each enrich lives of team members and volunteers, with the support of family and friends, through recounting of the incredible lives they've led and the sharing of important life experiences. To cultivate the relationships between staff and residents, and their families, McPeak's continually offers a variety of family-focused activities throughout each month, and especially during the holidays. These are further enhanced with therapies, full-time recreation - ranging from arts, crafts and games to massage and musical therapies, exercise and delicious food. The daily schedule is designed to aid to keep the residents happy and healthy for many years to come. "As a family-run business for more than 60 years, McPeak's Assisted Living values the long lives and amazing stories of our residents," says James McPeak, Owner of McPeak's Assisted Living. "We use a team approach, resident and staff, to address all aspects of their lives through a variety of services to our residents. We're excited to once again be part of this national program, which does so much to honor the members, families and caregivers at assisted living facilities." 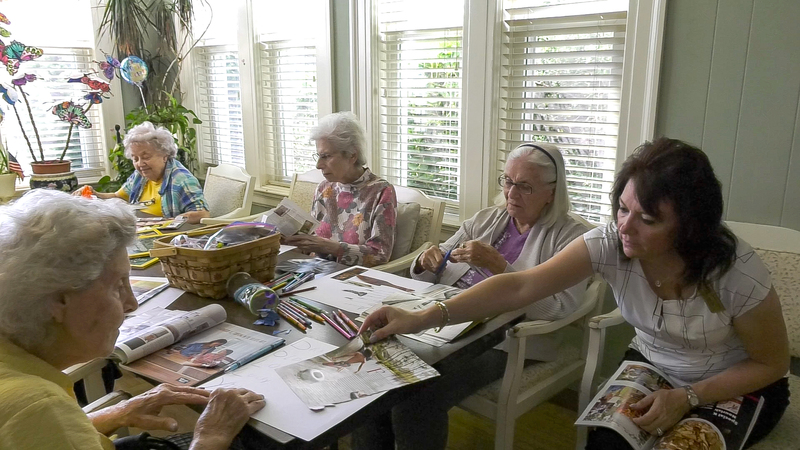 Established by the National Center for Assisted Living (NCAL) in 1995, National Assisted Living Week is an initiative for residents, families, staff, volunteers and the surrounding community to come together through a series of events and activities. For more information on McPeak's Assisted Living, call (631) 475-0445.